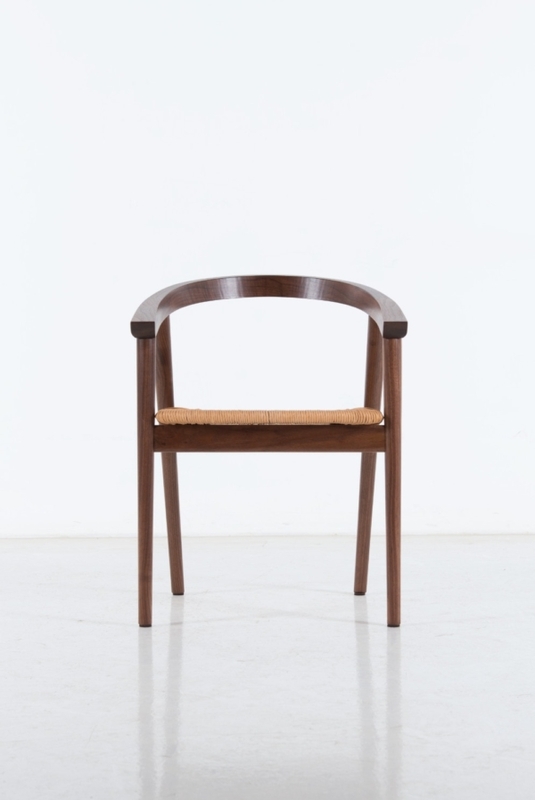 In this variation of the Cumberland Chair, the saddled solid wood seat is replaced with a rush seat for a result that embodies our enduring commitment to simplicity. 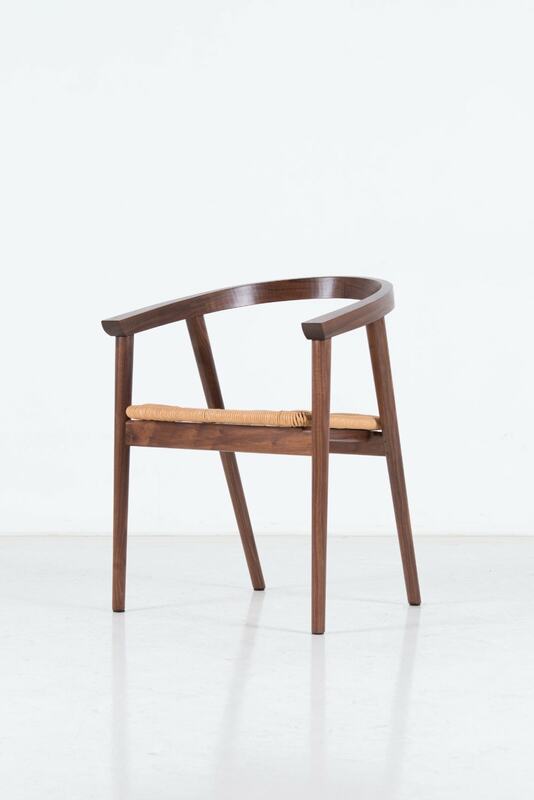 Though inspired by Danish Modern forms, the Cumberland Dining Chair has its own perspective and is an artistic interpretation of its historical antecedents. 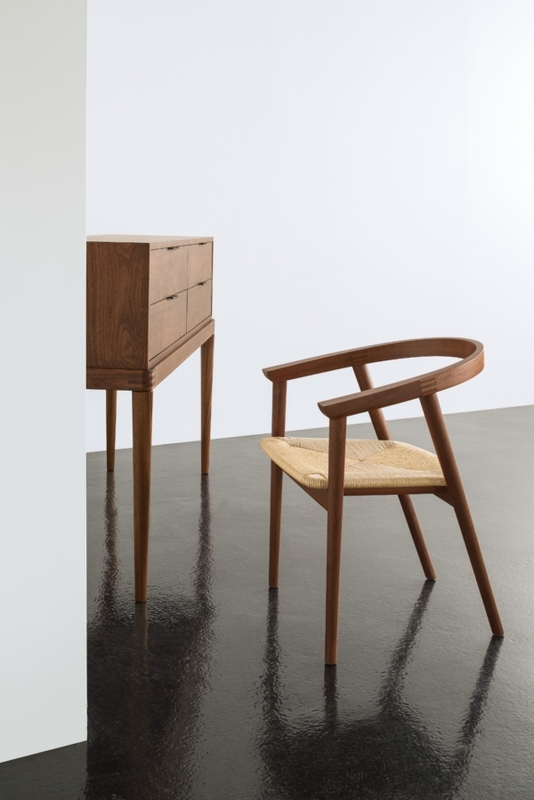 Released in 2015, as a follow up to the Cumberland Chair, the Cumberland Chair with Rush Seat deepens the connection of this piece to the traditions and history of furniture making while serving as a visual commentary on our commitment to balancing tradition with an ever-evolving aesthetic. 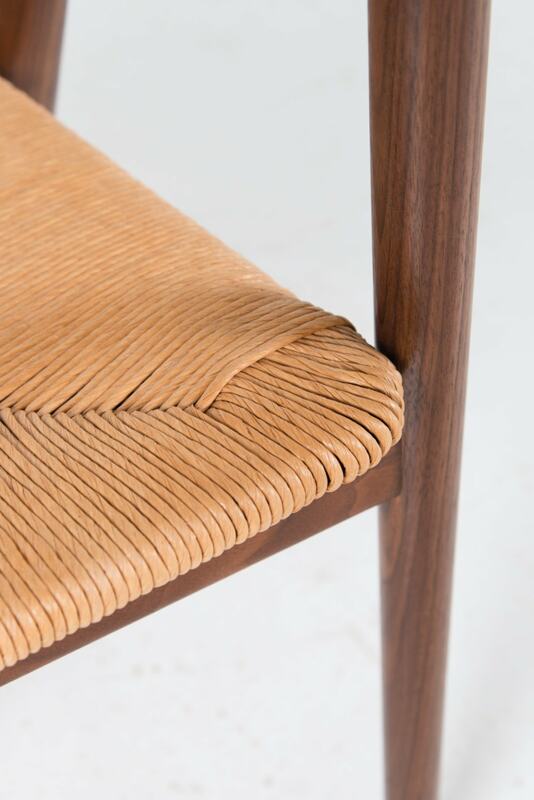 Not immediately apparent at first glance are the nuanced relationships of the parts that inform the proportion of the Cumberland Chair with Rush Seat. 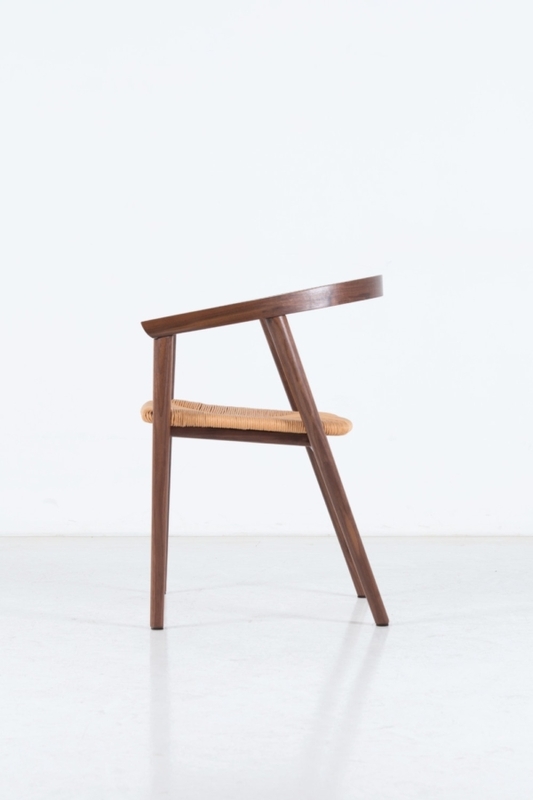 Characteristic of Moser, we’ve simplified the form through innovation – notably the double-housed mortise-and-tenon joint used to secure the chair rails and support the rush seat – stripping the design to its most elemental form. This effort at minimalism produces a form of functional elegance, where every part serves a vital purpose, resulting in unmatched simplicity, beauty, and utility. The innovation of the Cumberland Chair starts with its structure. The rails that span the legs of the chair and support the rush seat employ a double-housed mortise-and-tenon joint, allowing us to achieve the desired simplicity without compromising strength. 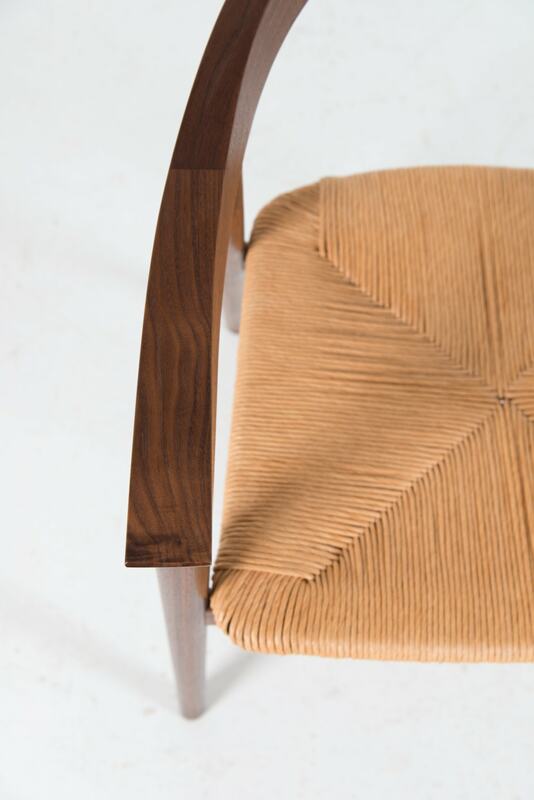 Atop the turned tapered legs sits the continuous arm and crest rail. This element is the sum of three pieces, a single solid wood steam bending at the back, joined with the collection’s hallmark visible finger joint to the arms. 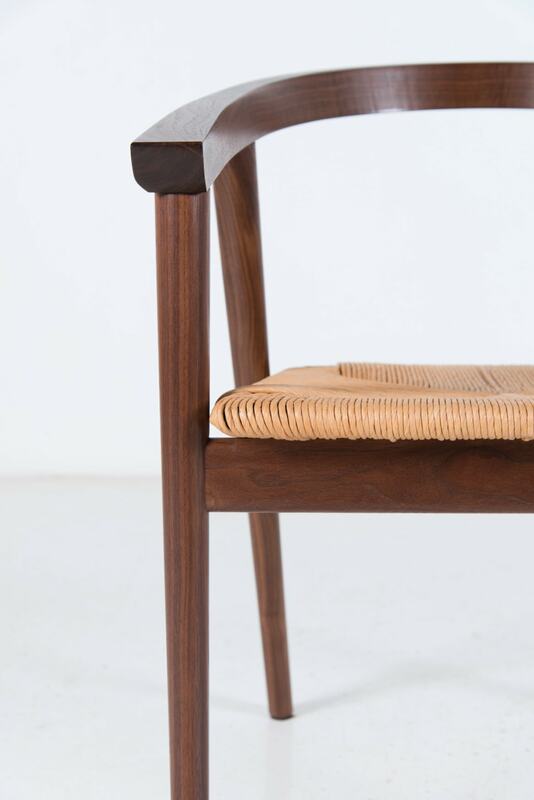 The rush seat celebrates a form of seating that is hundreds of years old. Strands of rush are woven into rope-like lengths in a closely spaced manner around a wooden seat frame to create strong, lightweight and slightly flexible seating. Several different types of fibers can be used to make a rush seat such as cattails, bull rushes, seagrass and the fiber rush employed here.